Temporary International Presence in Hebron apologizes for punctured car tires. Days after security camera footage was released of a TIPH member vandalizing a car, Prime Minister Benjamin Netanyahu has summoned the foreign observer group for questioning. Members of the Temporary International Presence in Hebron were caught puncturing the tires of a vehicle belonging to local Hebron resident Elad Pass. The car, with Israeli licence plates was parked outside of a Jewish residential building when the TIPH members, wearing their identifying vests and uniforms, walked over and punctured the tires. The incident was revealed only days after another TIPH member was filmed slapping a 10-year-old Jewish boy in the face. The incident resulted in a official apology from the Swiss ambassador, the country of origin of the offending TIPH member, who left Israel the next day. The newly revealed incident also resulted in the offending TIPH member fleeing the county. On Tuesday, Prime Minister Benjamin Netanyahu summoned the TIPH commander to clarify the incident. TIPH head Brig.-Gen. Einar Johnsen met with the Foreign Ministry and expressed regret over the incident. He made clear that any TIPH members found to have acted inappropriately will be sent home immediately. Johnsen assured Alon Bar, the Foreign Ministry’s head of international organizations department, that TIPH was taking action to prevent similar issues in the future. Meanwhile The Jewish Community of Hebron has publicized photos of Johnsen meeting wit the mayor of the Palestinian Authority controlled part of Hebron, Tayseer Abu Sneineh, a convicted terrorist responsible for an attack that killed six Israelis. The Time of Israel reported that Foreign Ministry spokesman Emmanuel Nahshon said the government would most likely renew TIPH's mandate despite calls for its ouster. Member of Knesset Shuli Moalem-Refaeli (Jewish Home) is the latest elected official to denounce TIPH stating, "This is not the first time that their people have been documented working against the people of the Jewish community, and who knows what other injustices were not recorded? Instead of serving as a factor that is supposed to calm the area, they are doing the opposite." She called the extension of the group's presence "absurd" and "pointless." MKs Michael Oren (Kulanu), Yoav Kisch (Likud) and Bezalel Smotrich (Jewish Home) have also joined the call not to extend TIPH charter, which comes up for renewal every six months. “There is no justification for the presence of observers in Hebron, even if they were law-abiding and objective; but certainly not when reality proves that they are one-sided, hostile, and violent,” said Kisch and Smotrich in a joint statement. The Council of Community of Judea and Samaria has compiled a list of past grievances with TIPH which they say attests to their anti-Israel bias. "The Jewish community in Hebron calls on the prime minister and the foreign minister not to make do with "clarifying" with the head of the observer team, but to draw the necessary conclusion and to inform him immediately of the end of their mandate and their expulsion from the country. Hebron has no place for a hostile and provocative group whose actions violate the peace and well-being of the residents of Hebron." 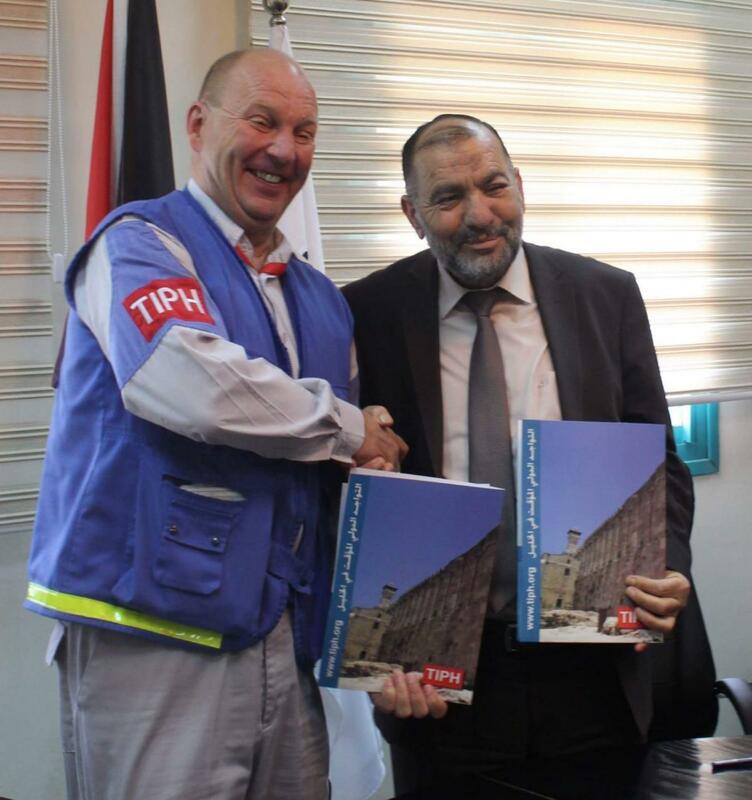 TIPH was formulated in 1994 and deployed in 1997 to monitor potential abuses that Israelis may possibly commit against Palestinian Authority residents in the city. Observers originally came from Denmark, Norway, Italy, Sweden, Switzerland and Turkey, with Denmark dropping out in recent years. However, there has been tension between TIPH and PA residents as well. On March 26, 2002 two TIPH observers, Catherine Berruex of Switzerland and Turgut Cengiz Toytunç of Turkey were killed in an ambush shooting by a Palestinian Arab gunman near Halhul, a city adjacent to Hebron. Three members of TIPH were riding westward on the Trans-Judea highway when they came under fire from short range, although their car was clear marked with the letters TIPH.